The BlackBerry Key 2 LE, an affordable phone with the signature BlackBerry full QWERTY keyboard and a focus on security, is coming to Verizon Wireless in the United States as part of the carrier's business customers offerings. The Key 2 LE is the "lite" edition of the flagship Key 2, and it's literally a lightweight, plastic phone with a Snapdragon 6xx series chip and an affordable price tag. Verizon business customers will be able to get the more serious-looking slate color (aka gray) version of the phone. The phone will be available on Verizon's business plans within the next few weeks. The biggest appeal of such a device is the keyboard of course, as well as the rich customization options. With a dedicated Speed Key, here you can quickly launch an app, plus you can set each of the physical keyboard keys to act as a shortcut to a function on the phone, so you don't need to search through the app drawer for apps, which is neat. But how does the Key 2 LE compare to the flagship Key 2? Battery life should also be pretty solid with the economical chip and a smaller screen, plus you have Qualcomm's Quick Charger 3.0 technology on board. And you get a headphone jack, as well as microSD card expansion. The sore point of the Key 2 LE is the quite dated Android 8.1 Oreo version that you are getting, but BlackBerry has previously promised the device will be updated to Android 9 Pie, so you have that. When launching the Ket 2 LE, BlackBerry also stressed that it was one of the first companies to partner with Google for enterprise security features support with Android, and with the Key2 LE the company has now embedded important information about the latest security patch and the ability to do a quick security check (via DTEK Security) within easy reach. You also have the useful Locker feature that stores content and apps, and makes them private. It also allows you to hide certain apps behind the fingerprint scanner, so nobody else can look at them. Additionally, you get the Dual Apps feature on board, so that you can run two instances of an app, a useful trick if youu are juggling between personal and corporate accounts. At start, it will support apps like Whatsapp, Facebook Messenger, Instagram and a few others. 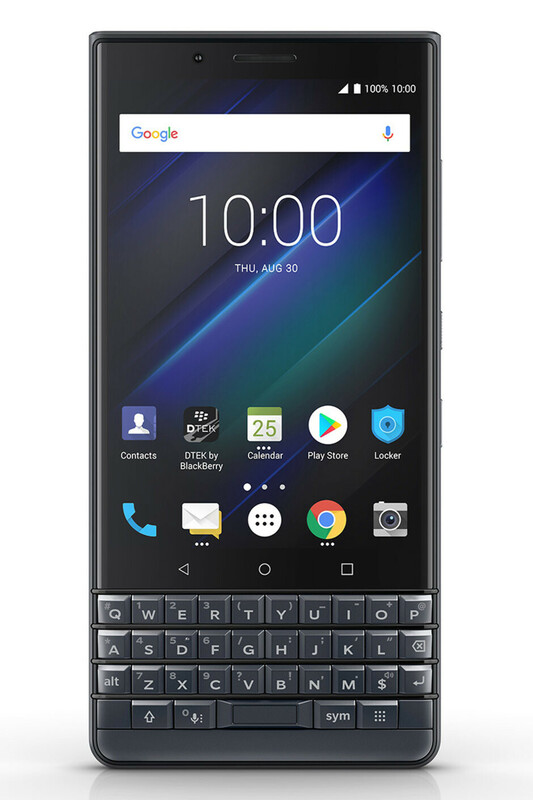 LAS VEGAS–January 8, 2019–In the coming weeks, Verizon Enterprise and Small Business customers will be able to purchase the productivity-ready BlackBerry KEY2 LE.With its purposeful design built for the modern communicator, the Slate variant of KEY2 LE will offer Dual-SIM support, 4GB of memory, and 64GB of internal storage.It also comes with the innovative Speed Key for a more customized universal shortcut experienceand includes support for popular features like the GoogleAssistant, GoogleLensand Google Pay. 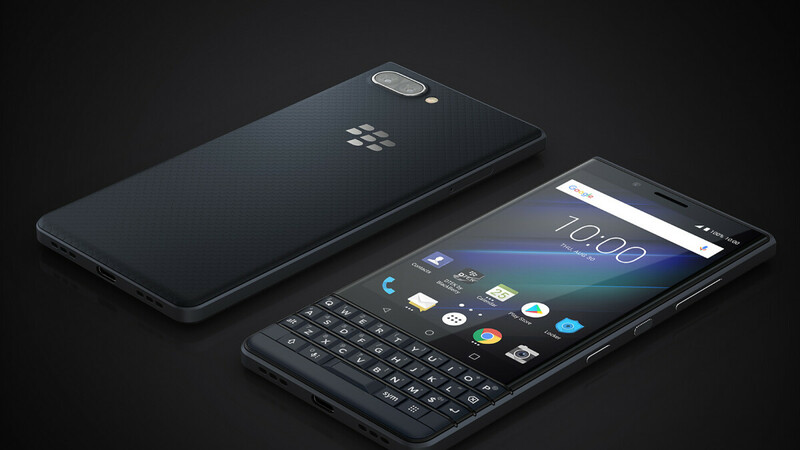 "We are excited to add the BlackBerry KEY2 LE to Verizon's portfolio of leading-edge smartphones for our business customers," said James Hammond, Director of Business Devices at Verizon. "With BlackBerry's decades of experience securing the mobile workforce running on America's largest and most reliable 4G LTE network, we continue to offer an industry-leading lineup of solutions needed by businesses." Capturing the balance between iconic BlackBerry design andmodern elements,theBlackBerry KEY2 LEfeatures a lightweight polycarbonate frameand a newly designed soft textured back that provides better in-hand grip to prevent drops. Designed for accuracy and precision, the physical keyboard includes the Speed Key that enablesshortcut access to a number of functions on your device at any time,without havingto return to the home screen or search in an app folder to access the apps, contacts and functions you use and communicate with most.The Speed Key is complemented by52 customizable shortcuts,so you can program each key to instantly bringup the contacts and apps you use most. Now you can take personal control of your smartphone privacy with features like Locker that allow you to manage what information is shared in the cloud,like your photos and documents. Locker provides a personal space on the device where you can store apps you want to keep private along with sensitive documents and photos. Firefox Focus, the privacy browser by Mozilla,is also included so you can avoid trackers and automatically delete your browsing session when the app is closed. The BlackBerry KEY2 LEalso includes the refreshed DTEK by BlackBerry application that brings new scanning features for proactive security checks to easily identify and mitigate potential security risks, such as unwanted data access by a downloaded application on your smartphone. And a commitment to monthly Android security updates means you’ll always be protected from the latest threats. With the BlackBerry KEY2 LE, you have all the featuresyou need to manage your work, travel, and personal life on the go. This includes support for dual personal accounts and business ready software that makes it easier to manage all aspects of your life.Dual account managementisbuilt in to enable you to separately manage both personal and professional social media profiles on apps like Facebookand Instagram, and on the dual SIM variant of the BlackBerry KEY2 LE, you can also have dual WhatsAppand other accounts that require unique numbers. It also comes loaded with BlackBerryHub which brings all your messages into one consolidated place –including emails, texts and messages from almost any social media account,including WhatsApp. Powered by aQualcomm Snapdragonprocessor and an efficient battery that offers up to 22 hours of mixed use, BlackBerry KEY2 LEcan get you through the busiest of days and often into the next day. In addition, itfeatures Qualcomm Quick Charge3.0, enabling up to a 50 percent charge in about 36 minutes –enough power to get you through a normal work day. Italso comeswitha Boost mode charging and contextual battery reminder which will learn from your daily charging habits and calendar appointments to recommend when to charge so you have the battery power you need when you need it most. This makes sense for business customers, especially if it is something that will be given in mass volume. Awesome. BlackBerry Mobile getting a carrier to pick up one of their smartphones is good thing, as carry support is extremely important in the U.S. Should the Key2 LE do well on Verizon, this could bode well for more BlackBerry branded smartphones on Verizon. I honestly think they dropped the ball with the second round of key devices due to the price. Just my thoughts on the matter. Considering that TCL just announced that they are pleased with the way their BlackBerry branded smartphones are selling, and the fact that they announced that more people have adopted BlackBerry smartphones in 2018 than in 2017, then it's safe to say that they haven't dropped the ball with the second generation Key devices. Just the documented facts on the matter. This is great news that means more choice for consumers. Why you are trying to add something negative to it is beyond me. Anecdotal evidence. Plain and simple. That doesn't tell us anything. That's what numbers are for. But continue to deny the facts. You are the last person who should be talking about something negative. I find that hypocritical coming from you.